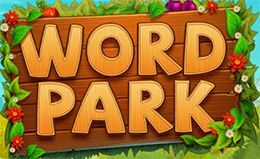 Word Park is the latest game developed by the APNAX Games studio. Thousands of downloads just in the few first days. The higher the level, the more difficult it gets. If you get stuck on any level just use the search form below to find the answers to any level you want. Insert any level number and hit enter. You will be redirected to the page with the answers to the level you requested. The same search form is available on the other pages as well. The first 10 levels of Word Park. You can test your knowledge and vocabulary in many languages with hundreds of levels and challenges every day. This game has a beautiful graphic and theme and is available for free on google play (for android devices) and soon on iTunes (for iOS devices). How to play Word Park. Swipe over the letters to form words. Find the correct words to complete the level. Not every word is correct. Look at the blocks to see how many characters each word has. You will get more coins by solving the words with stars. If you get stuck you can also use the hints provided in the game. Or in alternative you can buy hints. We encourage you to buy something on this game. For only 2.39$ you can remove ads on the game. This will help the developers of the game to make other cool games in the future.